Just think of a wonderful thought! Any merry little thought! Think of Christmas, think of snow…think of sleigh bells, off you go! 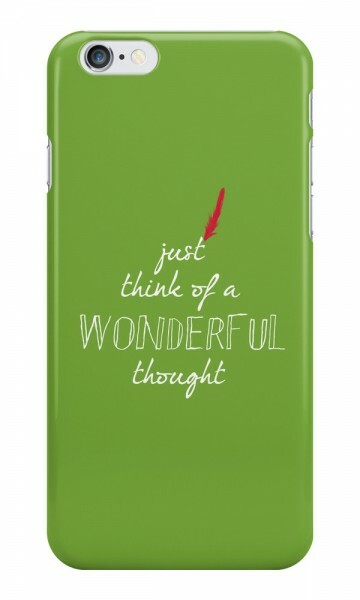 You can fly, you can fly, you can fly…off to work or to the movies or out for pizza when your phone’s covered in this fab Peter Pan Cell Case! It will gladly cover anything from an iPhone 4 to an iPhone 7! Pixie dust not included. Isn’t that the reminder that we all need every day?